The Dark Rift Alignment is not an "extremely rare", "once in 25,800 years" occurrence. It carries no consequences for Earth, and its significance to the Maya is unclear. What is the "Dark Rift"? Out of curiosity, what is behind the Dark Rift? What's supposed to "align", and what really does? Why is the Dark Rift significant to anyone? Other meanings of the "Dark Rift"
Some "Galactic Alignment" proponents emphasize that because of precession, in 2012 there will be an alignment of the Sun with the "Dark Rift" on the day of the Northern Hemisphere Winter Solstice (21 December 2012) . The 2012 proponents are right, but rarely tell the rest of the story: that same Alignment occurs on the Winter Solstice of more than 100 consecutive years, including 2012. The "Dark Rift" or "Great Rift" or "Milky Way Rift" is not actually a 'rift' at all. It is a series of overlapping dust and molecular gas clouds that are positioned between our solar system and the nuclear bulge of the galaxy. 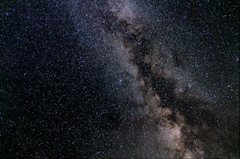 These clouds block the light from that portion of the milky way, and cause it to appear as if the Milky Way is divided into two roughly equal sections above and below them. These clouds (or 'dark nebulae') are several thousand light years distant, and almost completely obscure the central portion of the galaxy from our view.1 One of the Messier objects (M24) is actually a window or tunnel through the dust clouds. What appears to be a deep sky object is actually a portion of the Sagittarius Arm of the galaxy. Our view of the area behind the Dark Rift is only blocked in certain wavelengths. In other wavelengths (e.g., infrared or X-Ray) of light we can actually see through the clouds to the other side. This is how astronomers were able to plot the motions of the stars in the galactic core, and deduce the existence of a 4-Million solar mass black hole in that region. So the region beyond the dark rift is not unknown to science at all. In fact, science has a pretty good idea of what is on the other side of the Dark Rift. The statement that "the Sun aligns with the Dark Rift" gives the impression that the Sun comes into line with the Dark Rift. This impression is actually quite misleading. As discussed here, and more extensively in this video, the Sun appears to align with the Dark Rift in December because in that month, the Earth crosses the line of sight that extends through the Sun to the Dark Rift. Daniel Pinchbeck maintains that in 2012, the Dark Rift alignment will occur for the first time in 25,800 years, at dawn on 21 December. This assertion is quite wrong, as we show in this video. Actually, the Sun will "be aligned" with the Dark Rift at dawn in Maya lands in many years from about 1970 to 2110. In some of those years, that "Alignment" occurs closer to the moment of the Solstice than it does in 2012. Pinchbeck's version of the Dark Rift Alignment seems to be a misunderstanding of John Major Jenkins's claims. However, Jenkins's claims are themselves quite misleading. As detailed here, Jenkins typically says that the Dark Rift Alignment occurs in "the years around 2012". However, Jenkins admits on his web site that he's been aware since 1995 that the Solstice Sun aligns with the Rift for over 100 years. Jenkins contends that the Maya who developed the long count calendar deliberately structured it to end a major cycle in 2012 because that is when the solstice sun would 'align' with the dark rift. Regardless of any spiritual significance to the ancient Maya, to modern astronomers, the Dark Rift is not significant, except that it is in the way of some really interesting stuff. There is nothing unusual about the dark rift. It happens to be a collection of several fairly dense clouds of dust and molecular gas, but according to estimates, there are on average two such clouds in any line of sight extending 1000 light years.7 The fact that the 'alignment' has been occurring on every December solstice since 19808 shows that it is not a unique and rare occurrence. According to some proponents, the fact that this alignment occurs is cause for concern. In some versions the combined gravity of the galactic black hole and the sun will cause earthquakes, tsunamis, floods or severe weather. We rebut these claims on the black hole page. In other versions the alignment will cause more esoteric issues, such as a blockage of an undefined type of energy emanating from the black hole, or from the galactic core, or both. Some recent claims have focused on dark energy as the culprit. Another meaning of ‘dark rift’ appears to be a combination or confusion between the above definition and the galactic plane. One author has proposed that the ‘dark rift’ is a region along the galactic equator where there is a high concentration of dark objects; asteroids, dead planets, dark stars, etc. No evidence of this region has been provided, and in any rate (as noted previously) we are currently moving away from this proposed region. As is often the case, there is a tiny germ of truth to this claim. See the galactic plane page for details. We have shown that contrary to often-heard claims, the Dark Rift Alignment on the Winter Solstice is not a "unique", "extremely rare", "once in 25,800 years" occurrence. We have also shown that there are no consequences to this alignment. 6. Anthony Aveni, an astronomer and Maya researcher, gives a good, readable discussion of this issue in pp. 57ff of . According to Aveni, Jenkins' theories about the Galactic alignment were "clearly fueled" by Freidel, Shele, and Parker's Maya Cosmos . Aveni adds that Freidel et al. assume that Maya images that deal with cosmic symbolism -especially the images in Izapa's Stela 25- are virtual maps of the sky. Here, in brief, are Aveni's objections to that assumption. The North-South alignment of the Milky Way supposedly shown in Stela 25 is far from unique. It occurs at one time or another on every night of the year, or at specific times of the night on various dates. "Maps" are a thoroughly European concept: nowhere in the prehispanic Mesoamerican record is there any indication of a representational device that consists of a flat surface displaying, in scaled proportion, the relative positions of selected points. 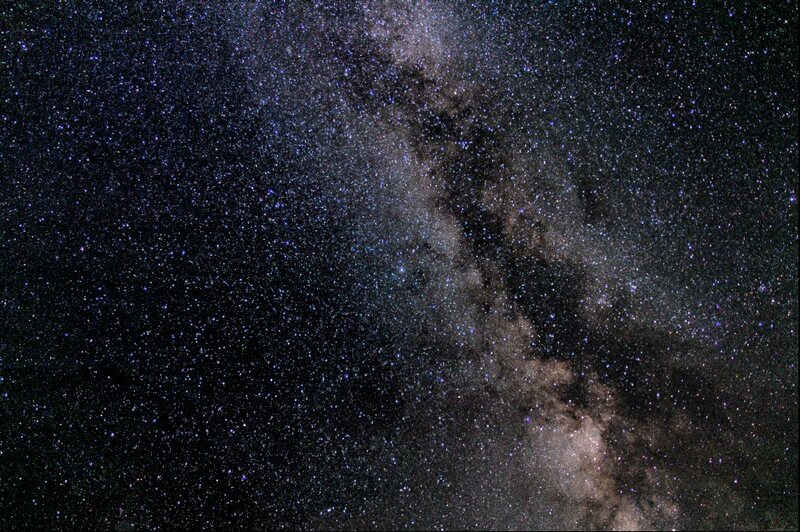 All Maya identifications of the Milky Way come from modern Maya people. There is no evidence that what they tell us has any connection with the thinking of the Classic Maya astronomers. 1. Aveni, Anthony. 2009. The End of Time: The Maya Mystery of 2012. University Press of Colorado, Boulder. Available for free viewing online at http://books.google.com.mx/books?id=zUfOSF0s6BMC. 4. Meeus, Jean. 1997. Mathematical Astronomy Morsels. Willman Bell. 5. Freidel, D., Schele, L., and Parker, J. 1993. Maya Cosmos: Three Thousand Years on the Shaman's Path. William Morrow, New York.